Consolea leucacantha (Link & Otto) Lem. Opuntia fulvispina Salm-Dyck ex Pfeiff. Opuntia lanigera J.Parm. ex Pfeiff. Opuntia leucotricha var. fulvispina F.A.C.Weber ex K.Schum. 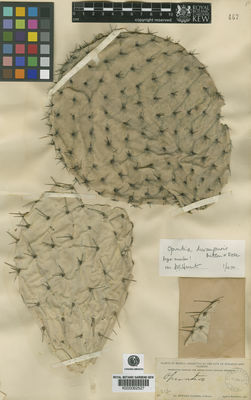 Opuntia rufescens Salm-Dyck ex C.F.Först. Opuntia subferox Schott ex Pfeiff.